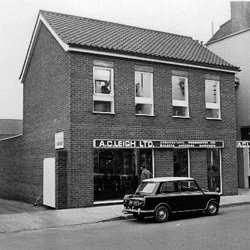 AC Leigh have been in Norwich since 1959 and are an ISO9001 company offering ironmongery, security and locksmiths services, from its lowly start the company soon grew to be one of the largest independent architectural ironmongers specifying and supplying ironmongery for projects nationwide. AC Leigh has three architectural ironmongery branches and one specialist access control installation division in East Anglia, each with highly experienced and well trained staff. At AC Leigh we pride ourselves on being able to offer a more personable service. 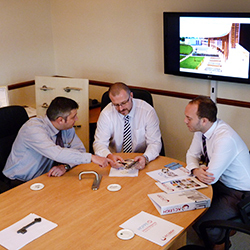 Our branches and staff are there to help solve any ironmongery related problems you may have. Our branch network can support projects of any size across the UK and AC Leigh are members of ‘The Guild of Architectural Ironmongers’ and ‘The Master Locksmiths Association’. Our architectural ironmongery departments offer all of the services required by the contractor, architect and client, such as; working within a required budget, scheduling and assistance with specification. 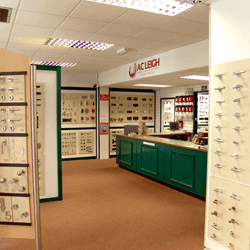 AC Leigh has been built on providing value for money and we recognise that service is as important as the quality and cost of the ironmongery supplied. 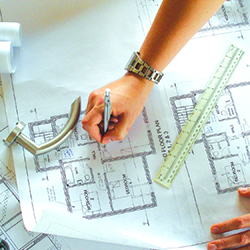 We have representatives who are able to visit your offices, attend site, discuss samples and work through plans. Staff have been trained to, and completed, the GAI (Guild of Architectural Ironmongery) diploma course. 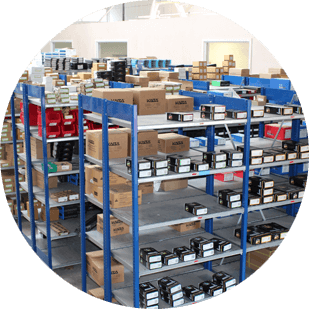 As a major reseller for many of the premier manufacturers such as Securikey, Burton Safes, Dorma, Geze, Magnetic Solutions and SALTO, we at AC Leigh are able to offer top quality products at very competitive prices. We encourage our customers to not hesitate in contacting us if they feel unsure about the best product for their requirements. Our fully trained staff will be happy to ensure that the product we supply to you is a product that we feel meets your requirements. All of our staff have had extensive training on our range of access control, ironmongery and security products with some of them having obtained the diploma awarded by the guild of architectural ironmongers. Our aim is to provide the best online shopping experience to you, our customers, by exceeding your expectations with each and every order. By keeping our website simple, but full of clear and concise product information, we believe that we have provided an easy solution for our customers to decide which product best fits their requirement. If there is something you think we can improve on our website, then please contact us as we are always looking for ways to develop new improvements to help our customers.